It is often difficult for students to understand the particular meaning of a reaction paper. Even if students deal with a paper many times, it still remains quite a complicated task to complete on time and with no obvious mistakes. Definitely, when you need to prepare a reaction paper, you must find out the exact meaning of this kind of academic paper and learn how to write it properly. 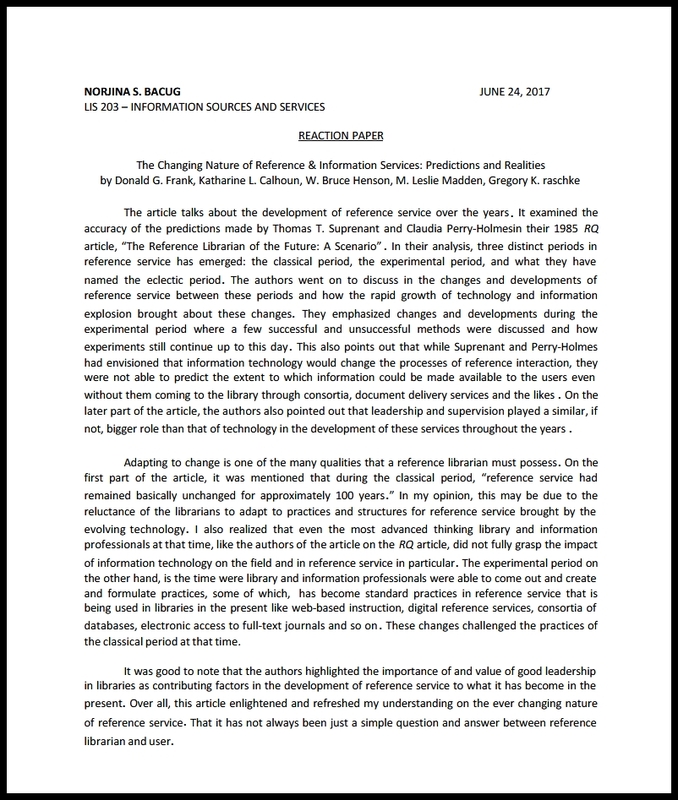 Moreover, this type of paper requires a deep understanding of another author’s work since you need to provide a profound review with all the analyses included. A good reaction paper is a writing piece that contains a critique of a definite examined subject, and which offers numerous strong arguments and relevant evidence. 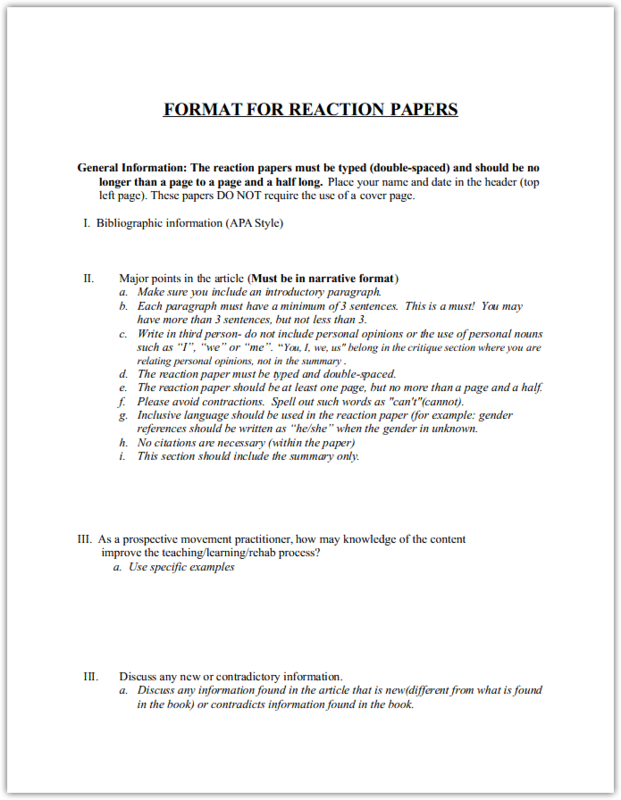 A reaction paper requires to check deeps of a certain subject and introduce the information to the audience. Before starting to write a reaction paper, you need to conduct a profound analysis essay of the main subject through numerous investigations and to get useful information before starting to prepare a critique. The top need for every good reaction paper is to provide a personal opinion on the analyzed subject and support your arguments and a thesis statement and up-to-date relevant evidence. You must persuade the audience and let them share your point of view. Therefore, you need to analyze your target audience in advance to be well aware of the top methods to persuade them easily. You can prepare an excellent reaction paper that will be further used for references by other writers, thus make sure to provide a clear and unique content. When you only start to write a reaction paper, think about what feelings do you have about the intentions of the analyzed book’s author. You need to understand and distinguish the main intentions of the author and his feeling about it. The context – when you start your writing piece, you need to represent a topic first. Therefore, you need to provide information that will allow readers to understand the topic and the provided opinions. The need – you must show the need for your opinion about an analyzed book, article, or movie, therefore, you need to create a great introduction to attract your audience’ attention. You must outline the significance of your opinion and its practical importance for other people. Thesis statement – you must include a thesis statement into the introduction part to outline the main focus of your reaction paper. The thesis remains a brief summary of the main ideas the entire writing piece is based on. It also reveals the main points and opinions of other people. Book details – once writing a reaction paper, you need first to explain every detail of the analyzed book, article or movie. Thus, you need to write down the name of the author and the summary of the analyzed book. In the case of a movie, you also need to provide the name of the movie and the list of main characters. Make sure to state the main objectives of an analyzed work when preparing an introduction. Mostly, students prepare reaction papers about books and movies. In fact, there are numerous assignments based on preparing a critique about the top movies since the modern era makes this kind of entertainment one of the most appreciated by people. Nowadays, movies gather millions of watchers all over the world. There is an impressive audience in every country who prefer watching modern movies and re-watching old masterpieces. When you work with a reaction paper on a movie, you need to highlight every point of the movie. When you deal with a book, you need to reread the book and outline its main plot and events. You need to find the main story and distinguish its main subjects and objects. Once you have watched or read the analyzed work, you need to evaluate the main story and to check the need of the paper. Therefore, you must use your tutor’s instructions and requirements. You need to react to a specific part of the story and to create your own opinions about the main plot of the story. 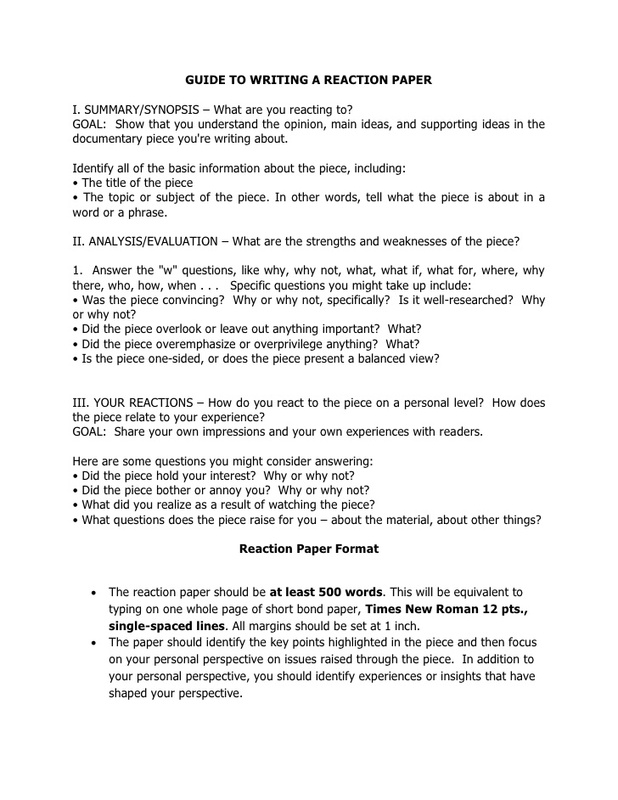 You can be asked to write a reaction paper about an entire work or its significant part. It depends on the assignment instructions provided by your tutor. A reaction paper requires personal opinions about a certain theme in the book or movie. You need to use your personal experience and knowledge to provide opinions. You can be also asked to prepare a paper about the author’s opinions, thus you will react to the author’s thoughts presented in the analyzed persuasive speech topics, book or paper. You need to write in details about the authors’ thought and ideas. When you need to write a reaction on the author’s thoughts, you cannon write about the theme. Therefore, when you know what you need to write about, it is a high time to reread the book or re-watch a movie. After, you must note the main events and characters of the analyzed work. You need to note every important element of the work to come up with a good reaction paper. 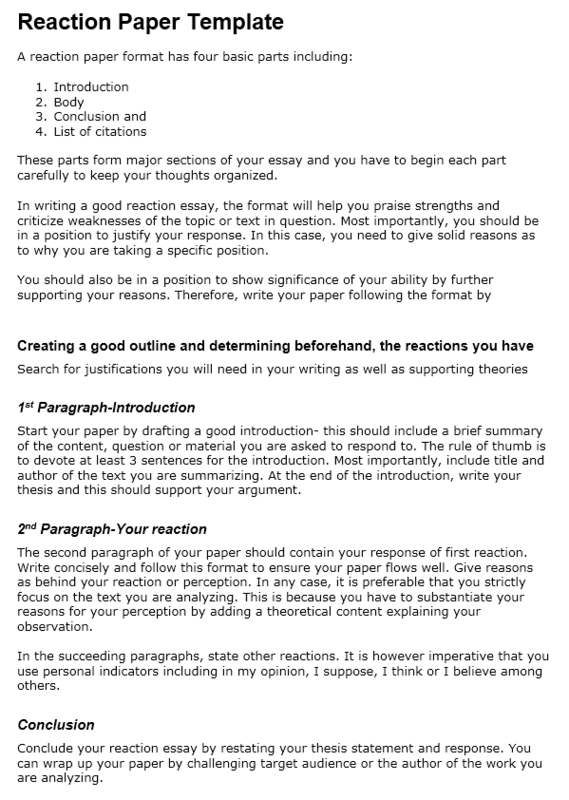 A reaction paper is a way to show how you react on a certain theme and the author’s opinions. You need to prepare an outline to use it as your writing plan. It will help you to include all the needed parts in your paper and never forget about the important information. You need to explain in details your own opinions and illustrate your personal thoughts by providing strong and up-to-date evidence. You need to include several examples to support your thesis statement. You will need to provide a certain format of a reaction paper depending on the instructions provided by your tutor. Moreover, a reaction paper has numerous parts, thus you need to know about the proper work’s organization and its core elements to prepare a good reaction paper. In general, a reaction paper contains an introduction, the body, and the conclusion. 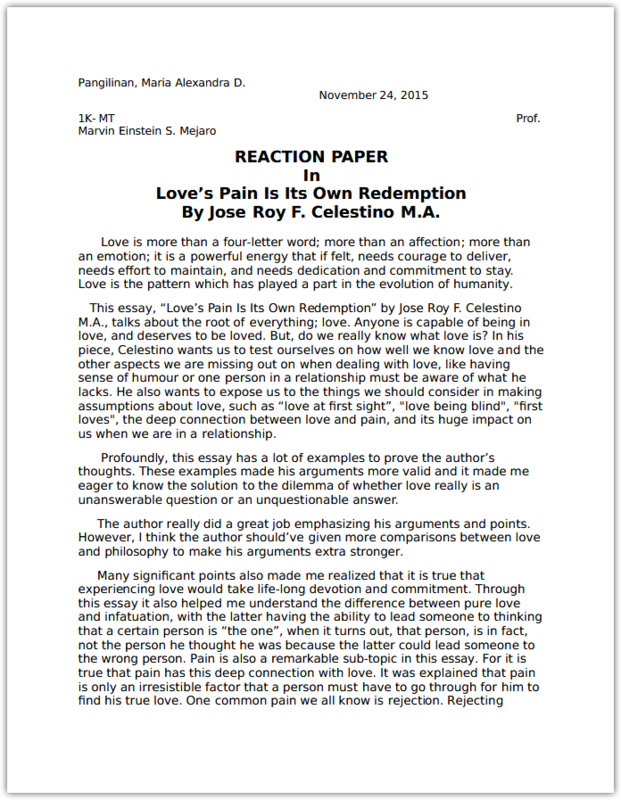 The additional part of a reaction paper is the citation list. The introduction – this is an essential part of a reaction paper that remains a face of the writing piece and the one that brings the audience’s attention. Therefore, you need to include numerous hook sentences to write a proper introduction. Moreover, this part of the text proceeds the reader to the body paragraphs. You need to include a small description of the main ideas in the introduction. You must provide an interesting introduction with a brief and clear thesis statement. The body paragraphs – the main section where the main ideas, arguments, and evidence are revealed. You need to start every paragraph with a proper topic sentence. The main idea described in this section must be reflected in the topic sentence. You must always use only relevant and up-to-date sources. You can use various types of sources, including theoretical evidence, in the body. The conclusions – the conclusion brings a link that connects a thesis statement with ideas’ summary. You need to summarize your main points and clarify your opinions in the conclusions. Citation List – this section requires relevant and up-to-date sources to be included in the list of citations. You need to use only credible sources to persuade your audience. If you need to improve your writing skills, type my essay and perform a great reaction paper, you can look through various examples online. You can check numerous reaction papers’ samples to come up with the proper writing technique. There are many examples of reaction papers on movies and books available online. You can find them in journals, articles, websites, etc. Once dealing with numerous samples, you will improve your knowledge and writing skills significantly.